The aim of these workshops is to create a multi-platformed performance, based on collaboration between students and their art forms. My intention as director is to create an interdisciplinary performance as a transformative learning process. I’ve really enjoyed developing my own techniques and methods of teaching and directing, and I believe it is beneficial for students as they learn to collaborate with other artists and experience all facets of putting on a production. Performance in the University Carpark. In 2014, I was invited to the University in Jakobstad, Finland, as part of their residency program. I worked with 24 art and music students, and we had one and a half weeks to create a collaborative performance entitled ‘Ancestry’. 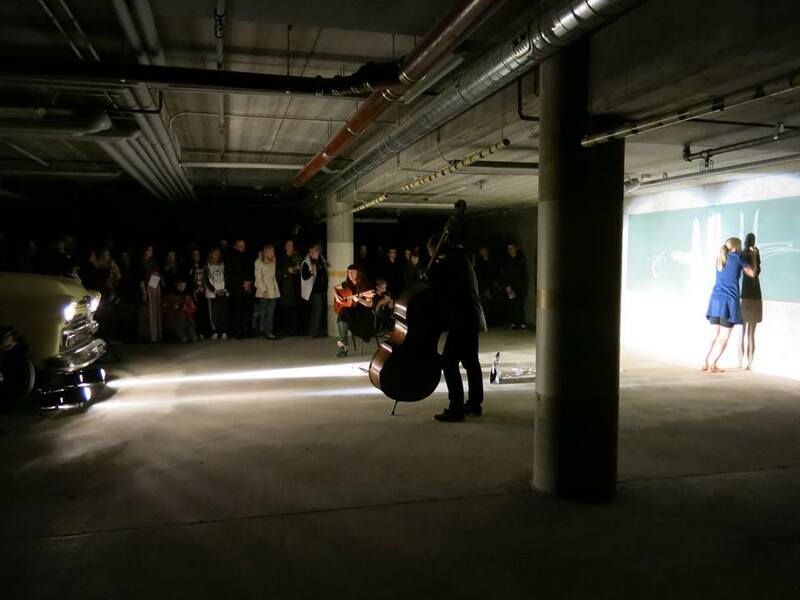 We decided on the carpark of the University as a performance space, which inspired and opened up many possibilities in regard to lighting, utilising the natural acoustics, and creating a memorable experience for the audience as we led them by torch light around the space. 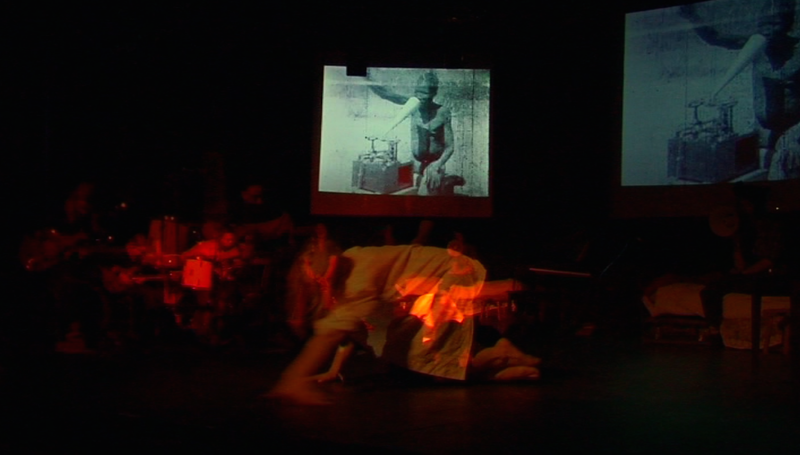 Performances included childhood lullabies sung by an angelic choir; a spoken word performance about mixed bloodline told while on a ‘blood bus’; a film that brought old ancestral photos to life (see the below film clip); a guitar solo capturing the essence of feeling disconnected from family; a dance piece living out the secret dreams of a grandmother and more. The audience was much larger than anticipated, creating a vibrancy in the air, and it was wonderful for the students to experience the success of such intense work. “…I didn’t really do anything performance-like before, so I’m glad I tried out my ideas. I will definitely remember this workshop. The atmosphere was magic. It was a big space but not too big, it had an intimate feeling with the different lights we used… It was great for me to have some time pressure and have a chance to do something with a big group like this. I also liked your attitude, you always thought everything was a good idea and worth to try. That is really important, to give space and trust to people to try their ideas even if one has to modify it later or scratch and start over…” Mikaela – spoken word, ink drawings on overhead projector (fine arts student). Blood Bus, Jakobstad, Finland. Photo by Leif Strengell. “…I think it was a great collaboration between music students and art students. There aren’t many collaborations between the two departments normally so this workshop was a big step forward. The project really inspired me! I feel like I stepped out of my comfort zone in the way that we presented the work. The event as a whole made me feel proud of all of us. The space was great! Thanks to the space we could play with lights and make the whole event more linked together lighting up one work after another. 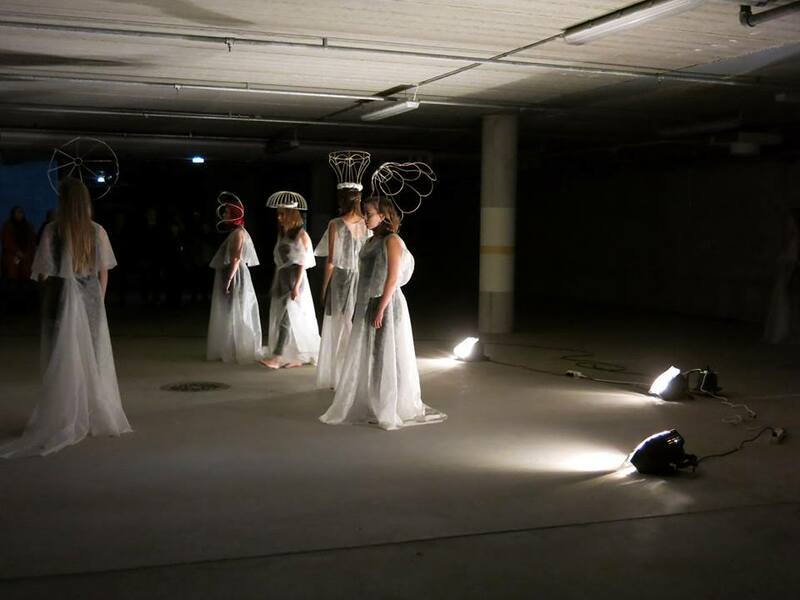 The feeling of the space was unique and it suited our works perfectly…”Nicoline – film and performance. (fine arts student). Dance piece with live musicians, Jakobstad, Finland. Photo by Leif Strengell. “…The project was inspiring. I liked the concept, to combine music department and fine art department. Also that everyone had opportunity to create something of their own in that concept, was really great. And you, Inga were very inspiring. I like your commitment and how you had time for everyone..” Carina – choreographed and performed dance piece (fine arts student). “…There were many students pouring their heart and soul with great meaning into their work. 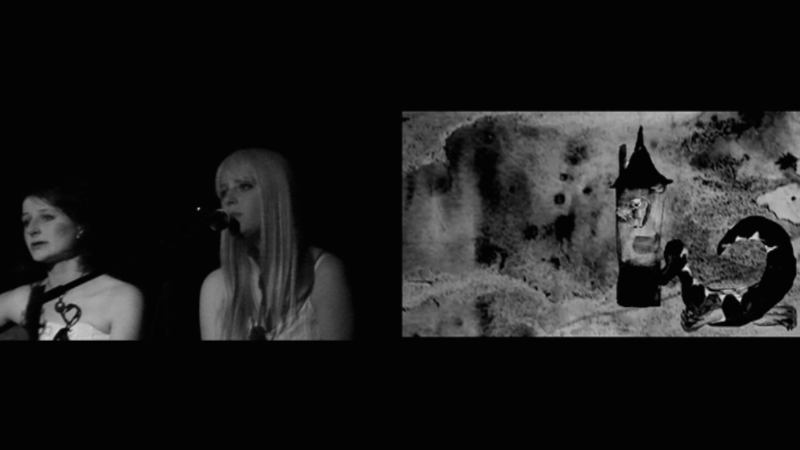 Having the possibilities to just express and show their art felt important…” Eleonora- film and performance. (fine arts student). 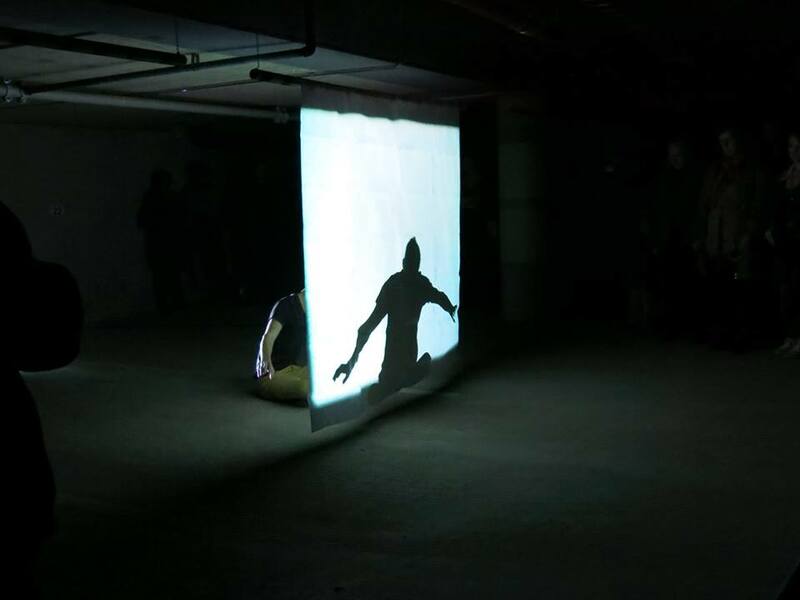 Projection with sound scape, Jakobstad, Finland. Photo by Leif Strengell. 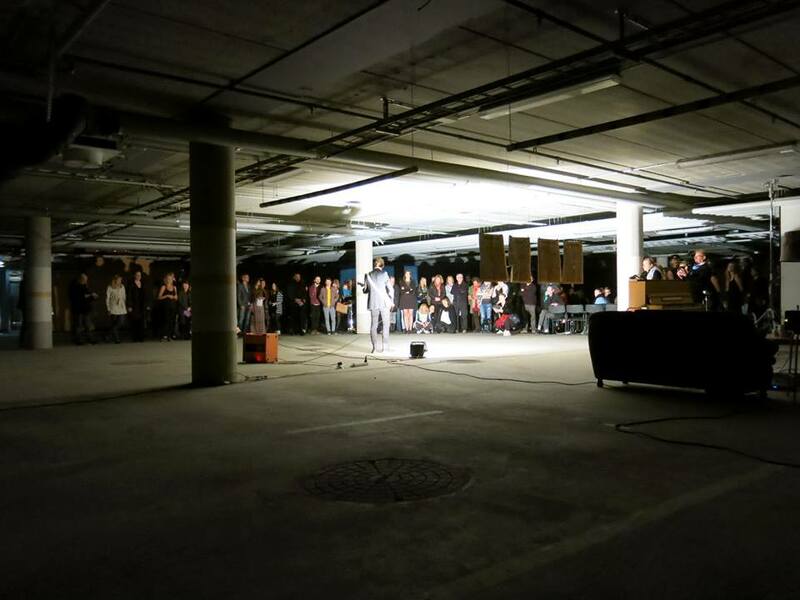 Installation and a cappella song, Jakobstad, Finland.Photo by Leif Strengell. “…I think this was a huge step towards working collaboratively. 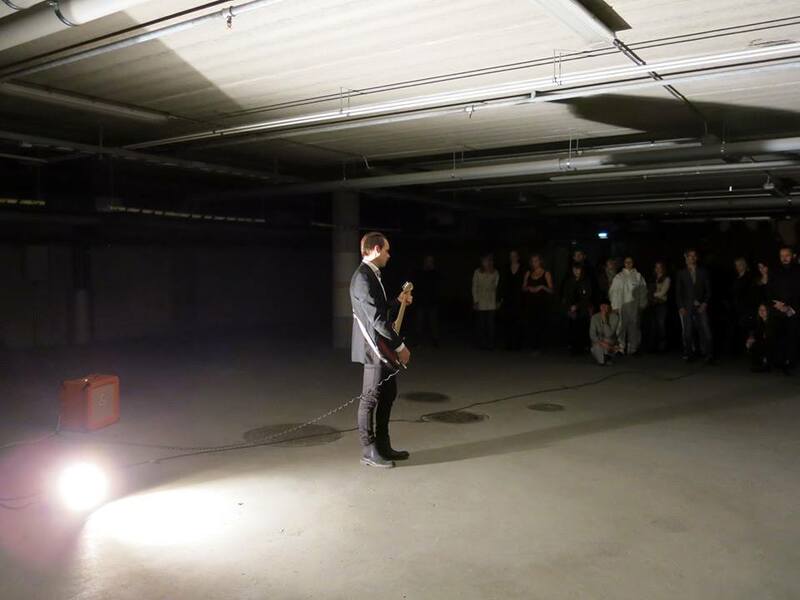 I think this was the first successful collaboration we have had between the art and music department…Using the carpark was very good, the atmosphere was great for the performance and added a lot to it. I think it was good to work with music students outside of “their” spaces, working with a stage feels quite limiting, the carpark was a good place. I do feel that this project opened up a lot of possibilities (in my brain) and of course with networking and such. I get the feeling that this project started some pretty good stuff, people seem motivated for doing more. I think the workshop was very successful…” Valter – performance art (fine arts student). Solo guitar piece, Jakobstad, Finland. Photo by Leif Strengell. “…In the beginning of this project I was almost certain of that there will be no time to plan or do a solo piece for the show. But you, and the random, spontaneous elements in the workshop embraced and encouraged me to just go for it and step out of my comfort zone. Working collaboratively with other students from other creative departments have inspired me to do it again and look for other possibilities in the near future. I now think many of us are thinking in alternative exhibition and concert possibilities…” Michel – solo guitar composition and performance, technical hand (fine arts student). Solo guitar piece, Jacobstadt, Finland. Photo by Leif Strengell. “…It feels like the whole workshop was very intense, but in a positive way. Everyone had been working really hard so it was really wonderful to get to be a part of the whole performance. I love that we used the car park as performance area. I think it really contributed to the whole experience. 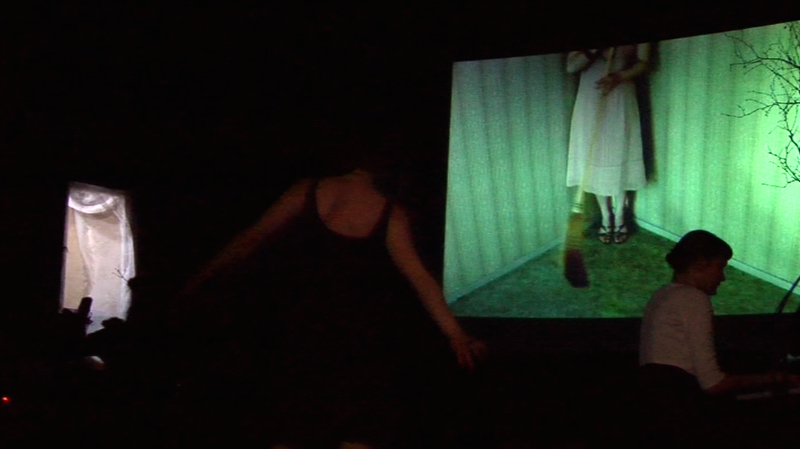 I’m also happy and a bit surprised that so many people showed up!…” Tanja – film and performance. (fine arts student). 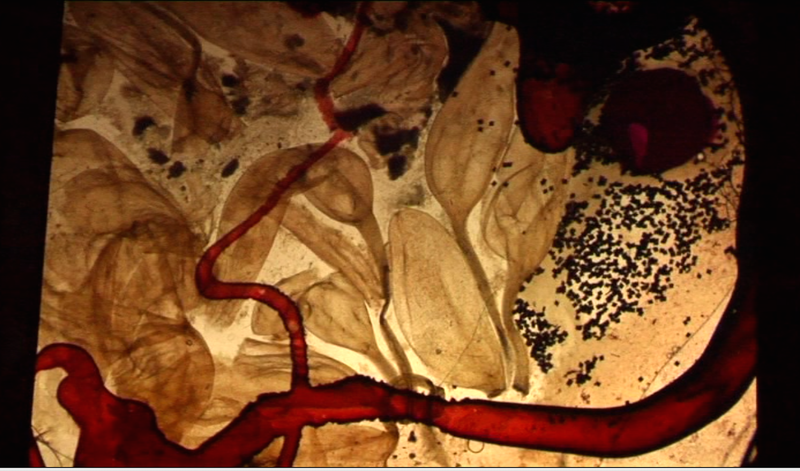 Vocal piece with ink on overhead projector, Jakobstad, Finland. Photo by Leif Strengell. “…Thank you Inga, it was without doubt the best workshop so far in school and something I will remember for a long time…” Rebecka- singer, performer, costumes (fine arts student). “…It inspired me to believe more in my self…”Anna- film director, realisator and actress. (fine arts student). Performance at the university campus. 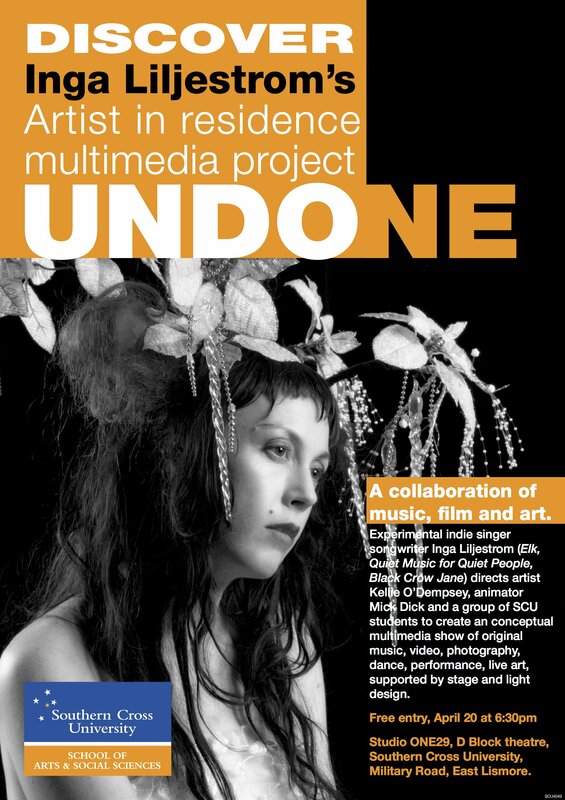 The residency in Lismore was entitled ‘Undone’, and the students were invited to bring an unfinished piece of music, film, poetry, or idea to the workshop, and we would use this as a basis to collaborate. The usual performance space at the campus was also ‘undone’, so instead of using only the stage as the focus point, we utilised the whole room, with five stage areas set up around the periphery and a space in the middle for an aerialist. 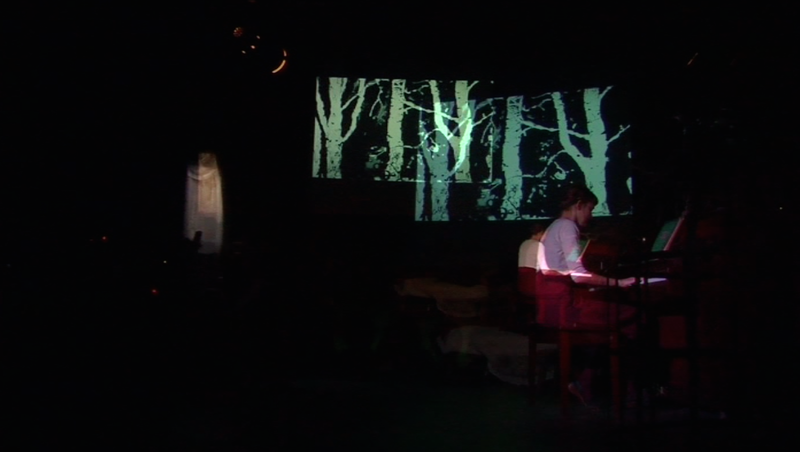 Film footage was projected onto the stages, and two enormous screens had feeds of live, spontaneous, hand drawn animation inspired by the music being performed. The lighting design was subtle with colours augmenting the idea of seasonal changes; costumes frayed and undone with woollen threads around wrists, necks, feet, and hair. 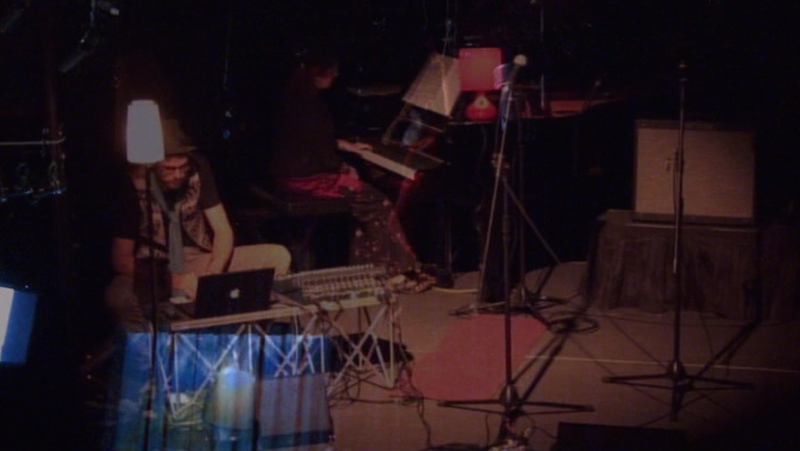 The performance featured twelve original compositions by the students and myself- a tap dancer replaced conventional drums for a jazz bossa-nova tune; an aerialist cocooned her self in her red silks, gradually unravelling and scattering leaves to a a poem about Autumn; a pianist collaborated with an engineer experimenting with Abelton Live, who manipulated her repetitive chordal movements, gradually ‘undoing’ them to recreate something strange and alien; an experimental vocal tune with all the vocalists, discordant harmonies, words of winter and cold, and more. We received glowing reviews from the audience and coverage in APRA magazine. “…This was probably one of the most useful experiences I’ve had at Southern Cross so far….putting on a real show for a real audience with our own brand new ideas and being mentored by real artists who are really supportive and in touch with the industry. I also feel that I am a more conﬁdent as an artist and have more clear direction for the course of my studies from this project…” Ami – composer/ performer on guitar and vocal, tap dancer, violinist (vocal student). 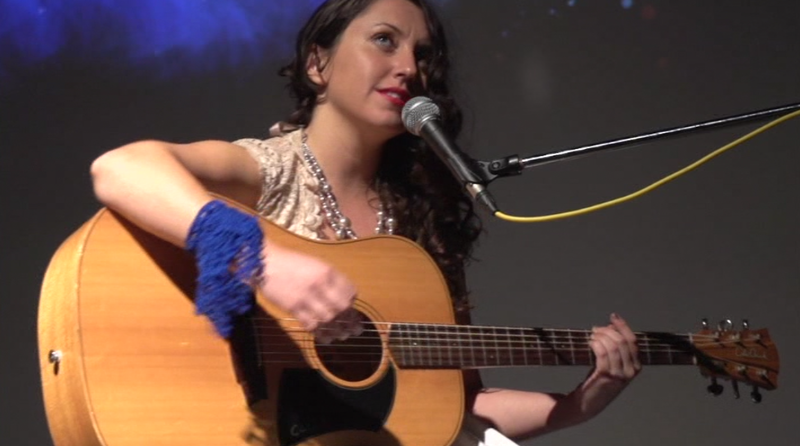 Original song with live animation, SCU Lismore, NSW Australia. 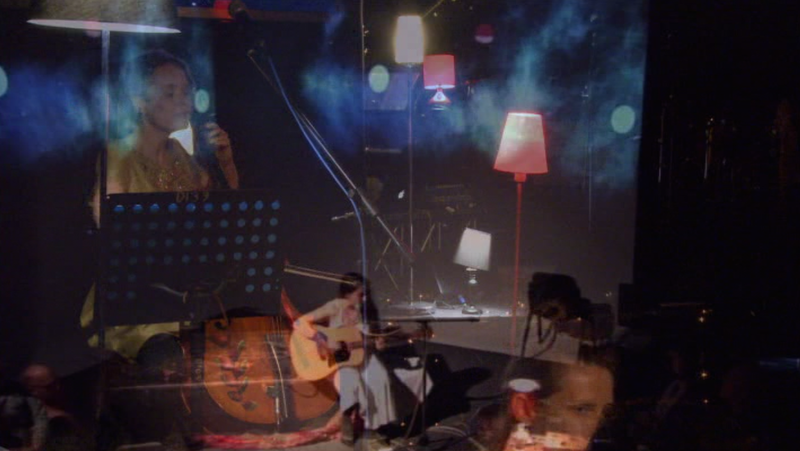 Original song with live projected animation, SCU Lismore NSW, Australia. “…The concert space at SCU is very tech savvy room with plenty of potential but its full potential has never seemed to be reached, until now. After seeing Inga Liljestrom’s APRA workshop I felt very conﬁdent that she would create a different environment in the room that we sit in every week. The diversity of acts and genres in the Undone project performance was really refreshing and new. The positioning of the smaller stages was a really creative way of utilising the area around the audience and I enjoyed shifting in my seat, trying to ﬁnd the source of sound when the next instrument played. Visually the images I saw on screen were beautiful and allowed me to expand the way I experienced the music, instead of just hearing the notes I could watch the pictures move and imagine stories and emotions that could connect the two features. After seeing the Undone project I got to thinking about my own performance, my ﬁnal, end of the year show. The right images I think can be really evocative and could help me portray my message and mood on a different level…” Jo, 3rd year student, feedback for audience, Lismore SCU, NSW. Australia. 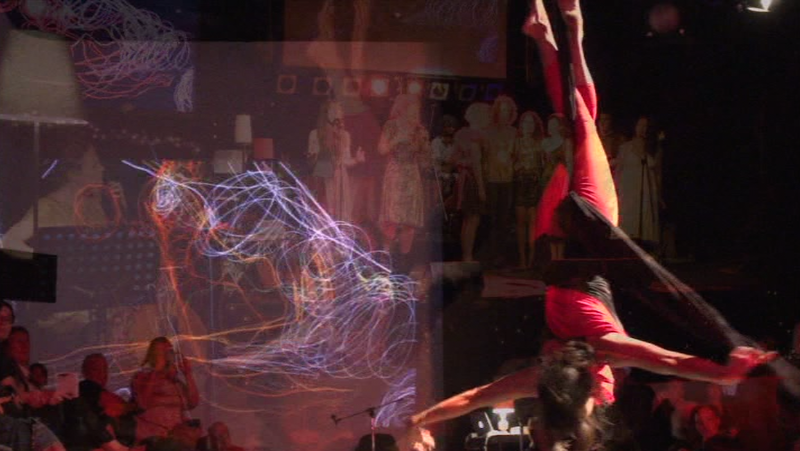 Aerialist accompanied by original song, SCU Lismore NSW, Australia. 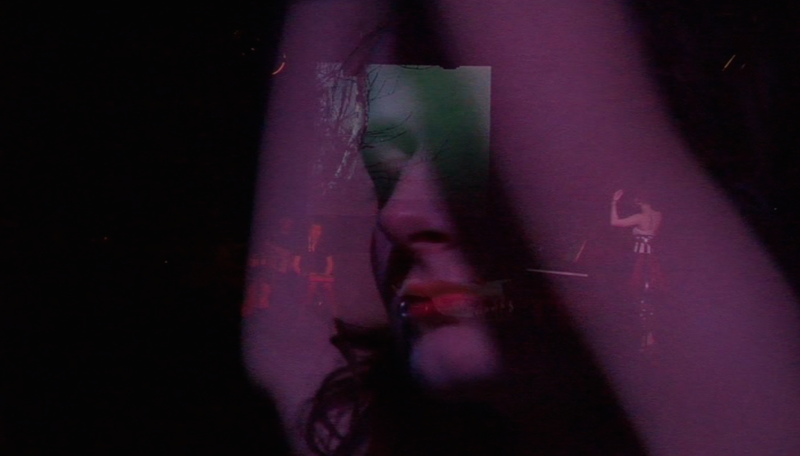 Original song, video projection. SCU Lismore SCU, NSW, Australia. “…Inga was very skillful in her ability to coax out creative ideas in a way that afﬁrms and she gently guided without taking over. I also enjoyed the multimedia fusion of the arts. I found it easier to compose to a theme especially with the support and encouragement given. Also, being encouraged to bring in unﬁnished songs under the theme ‘Undone’, is particularly advantageous and worthwhile…” Adri – composed her first composition for piano, collaboration with Ableton Live manipulation of piano, accompanist. (piano student). “…It was really great having a professional that has been in many productions before and had good advice and support to build my conﬁdence. As this was the ﬁrst big music production I have been a part of, I think it has really beneﬁted my music education. I learnt many things about stage presence, vocal projection and it gave me real experience as to what it feels like performing in front of a live audience of people I didn’t know. Being a part of the undone project totally inspired me to start planning my own productions/ shows, I was inspired to make music with other students that were also a part of the project…I feel very lucky to have had this opportunity…” Rose- choreographed and performed dance piece, composed and performed own songs (vocal student). “…It was very beneﬁcial to my music education because it was a real industry situation simulated in a safe nurturing environment. I feel I’m also more aware to how the music industry works…” Dylan – engineer/ mixer co- ordinating five stages (engineering student). 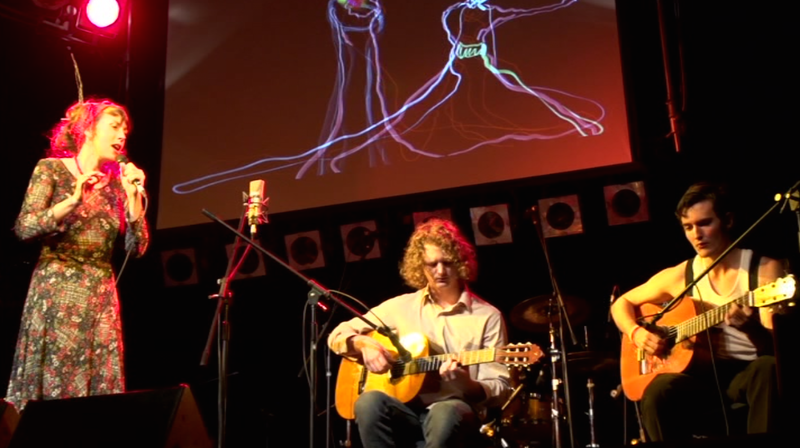 Original song with live drawn animation, SCU, Lismore NSW, Australia. Performances in Scala theatre, Nykarleby. In the Spring of 2009, I travelled to Nykarleby, Finland, to complete an artist residency in the town of my ancestors. My experience there felt like a Scandinavian film, enchanted and mysterious, following secret tails to the sea via dark and foreboding forests and singing songs to people in the early morning hours in old wooden Finnish style houses. I was asked to give a talk to the students, who were studying fine arts, film and costume. This evolved into a month of workshops with the students, collaborating and creating what would become a spectacle called ‘Sparkstotting’, with original compositions, dance pieces, animations, live VJing, lighting design, costume and sound scape. The stage was decorated with black birds (skartor) hanging from the ceiling, branches from trees, old bicycles, a sparkstotting sledge, a small window with a curtain blowing in a soft breeze, and a bird cage which would later be used as a skirt for marionette dance piece. 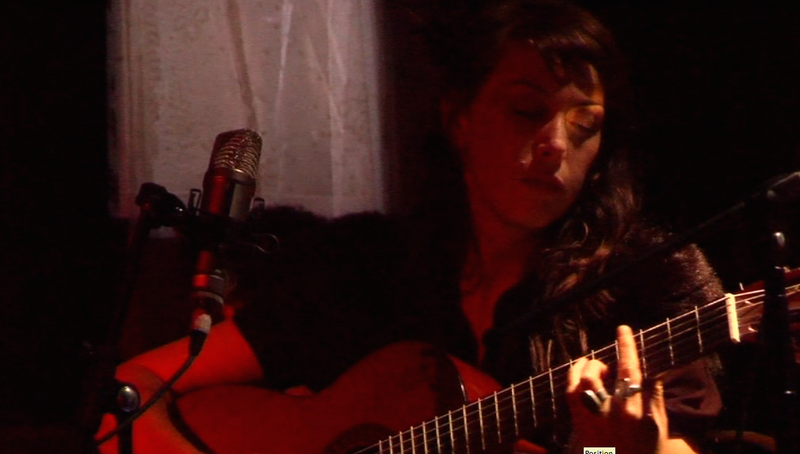 The performance unravelled like a dark fairytale, and highlighted the profound beauty and mystery of this little town. We performed two successful shows for the community of Nykarleby in the old Scala theatre and received glowing reviews. Marionette dance in bird cage dress, Nykarleby, Finland. “….It was all kind of magic. 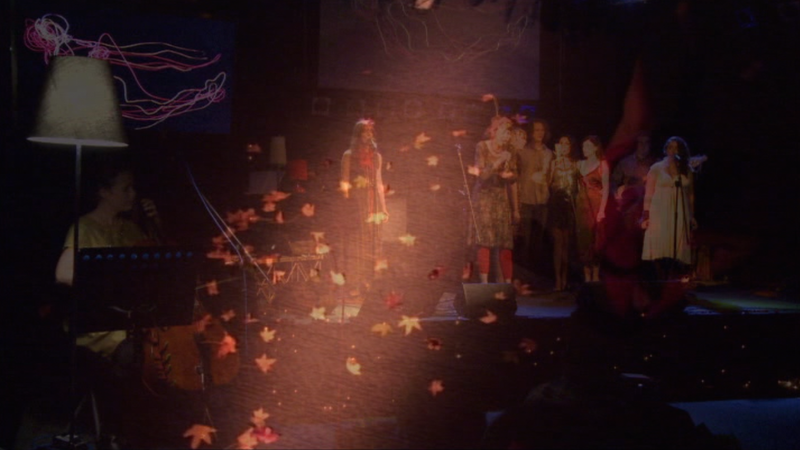 I still associate springtime with the intense and wonderful weeks in May 2009. For me the workshop evolved from a feeling and we worked quite openly, there was always space for new ideas or changes to be made. Inga brought us a new perspective and encouraged us to trust in ourselves and step out of our comfort zone. I gained a lot of confidence in making music and it was also exciting to see new sides of my friends. To see that it’s possible to make an interdisciplinary concert and the feeling of creating something together was amazing and maybe the most important experience for me…”Matilda – composer, performer, animator, props, stage decoration (fine arts student). “…I got the position of taking care of the visuals that were projected throughout the show. It was fun and it was the reason i got into VJing which I have been continuing doing afterwards. 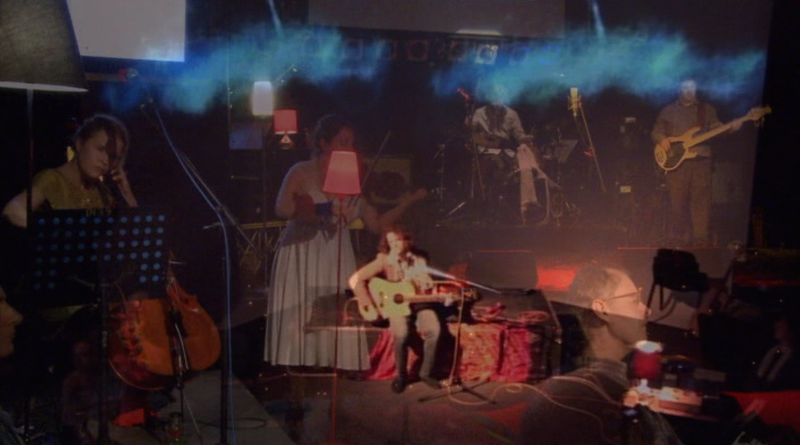 I have worked with video before but never activating and syncing videoclips live to live music. It was a lot of problem solving and getting videoclips that would fit with the music…I learnt a lot and the final result was really good and all the students working on it were really satisfied….the workshop was a success and we created a good energy within the group that you really could see and experience when watching the show.” Oscar- live VJing, projections (film student). 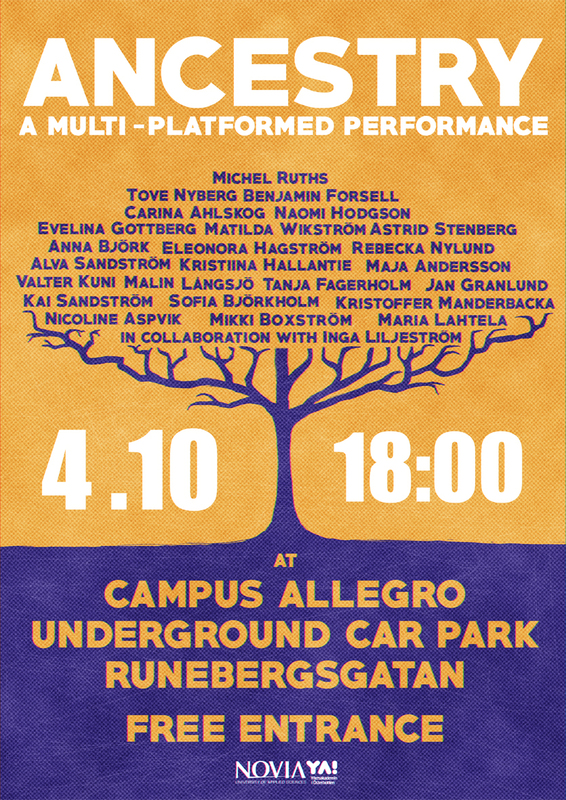 I am hereby offering my recommendation for Mrs. Inga Liljeström in order to support her teaching project. I am a practising artist and senior lecturer at the Fine Arts program / Intermedia and Visual Art Practice of Yrkeshögskolan NOVIA, University of Applied Sciences in Nykarleby, Finland. I am also one of the co-ordinators and board member of the Association of the Friends of the Swedish School of Art / Artist in Residence program and board member of Platform in Vaasa. During spring term 2009 Mrs. Inga Liljeström worked in the frame of an integrated part of the Artist in Residence program at the Department for Visual Arts at the Yrkeshögskolan NOVIA in Nykarleby, western Finland. 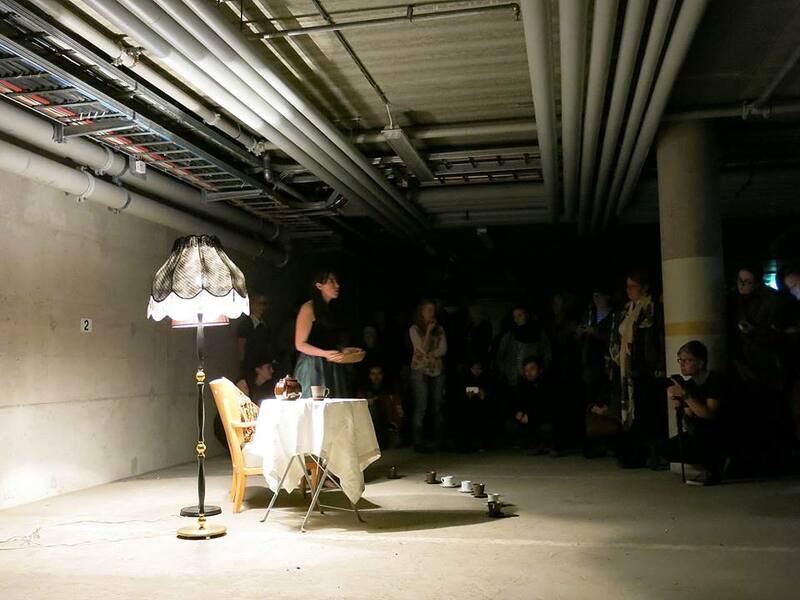 We initiated together and she realised an extensive workshop and performance Sparkstötting, which was specifically dealing with music, sound, performance, visual design and stage. Concerning content and practical implementation, this course was very giving and deep for the students. Conversations and presentations of students works were an important part of the creative process. With her students Mrs. Inga Liljeström discussed popular and art theoretical aspects in the context of individual artistic development. Group dynamic and team work were practiced by developing and realizing two live performances. The students results were very downright and extremely well carried out. Mrs. Inga Liljeström did a very good achievement and got very popular among the participating students. There are plans for a more continuous cooperation in the future. The high quality of Mrs. Inga Liljeström´s work within the fields of music was both relevant and decisive for the selection of this artist residency and educational work in Nykarleby. 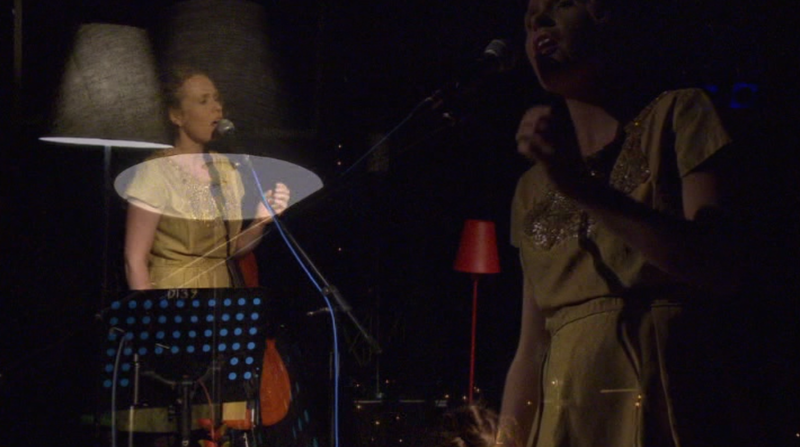 Mrs. Inga Liljeströms musical and artistic career speaks its own distinct language. Therefore I strongly recommend her for the project. Background: In March 2012, Inga Liljeström was invited to Southern Cross University as an international artist in residence. 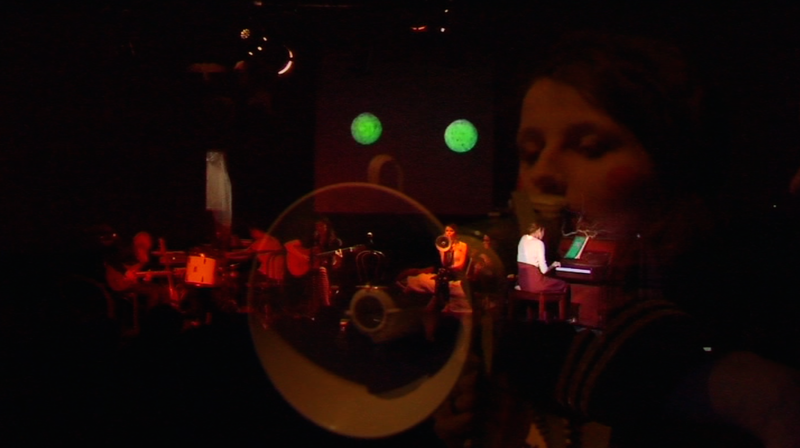 The project concept for the residency was to create a multi-media performance, based on collaboration between students and their different art forms, in order to create a performance of original music, ﬁlm and art. Students across the School of Arts and Social Sciences were invited to participate as an option for their Arts Project Unit. The project aimed to provide a space for students’ original songs to be showcased, a platform from which to explore multi-media production, and to foster skills in collaboration and co-writing and provide experience in the production of a show. The project ran just over three weeks, commencing on 29th March, with a public performance on 20th April in the University Theatre. Inga worked tirelessly and very intuitively with a broad range of participants, from school leavers to mature aged students. Her approach had an engaging and inspiring effect. Impressively, most of the remaining students eventually chose to be a part of the project in addition to their studies and without assessment. Inga is an exemplar of what collaboration is all about, as she uses her exceptional musical diversity and multi-media dexterity to create a unique performance. Inga worked effectively and professionally with a very intense schedule, constantly liaising with students, organising meetings, scheduling rehearsals, co-ordinating with video and production technicians and digital artist designers as well as writing spec sheets for lighting and ﬁlming. coordinator and editing and resource management. Inga Liljestrom and Leigh Carriage invited students to meet for the initial conceptualising of a show to be called “Undone”. The project relied on students commitment to a month long development program consisting of weekly intensive workshops dealing with performance ideas and music practice being trialled over 4 weeks run by Inga. “Undone” pre production culminated in a number of production meetings working through various staging scenarios and how the technical resourcing could be achieved using live music performance and edited ﬁlm segments along with a computer artist producing live drawings projected on to a large screen throughout the show. Part of the technical requirement was mounting 4 video projectors in addition to one existing projector in Studio D129. The show went through many changes in setups. The studio space was ﬁnally reorientated to place the audience in the centre of ﬁve stages situated around the edges of the studio, drawing the audience attention to the different stages surrounding them. The show was a success and there have been many inquires made as when the next show would be on. The shows atmosphere was of carnival through which Inga inspired the students to use costume and choreograph dance and movement into their acts. I would like to acknowledge the excellence of artistic expression and musicianship and inﬂuence Inga imparted to the students in the process of developing the show “Undone”. I have no hesitation in being involved future projects that Inga may take on. 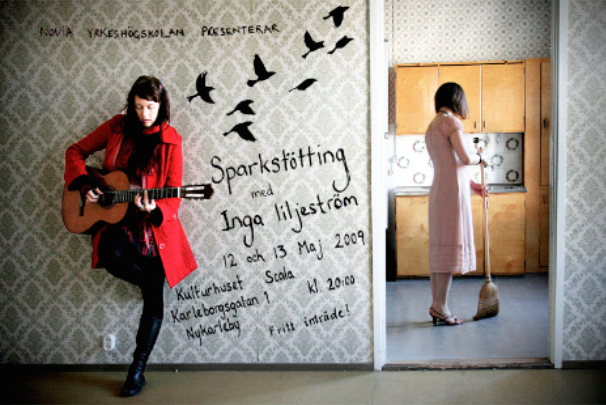 In 2009 Inga Liljestrom was invited for a residency and a workshop within the Artists in Residence programme of Svenska Konstskolans Vanner, Nykaleby, Finland. 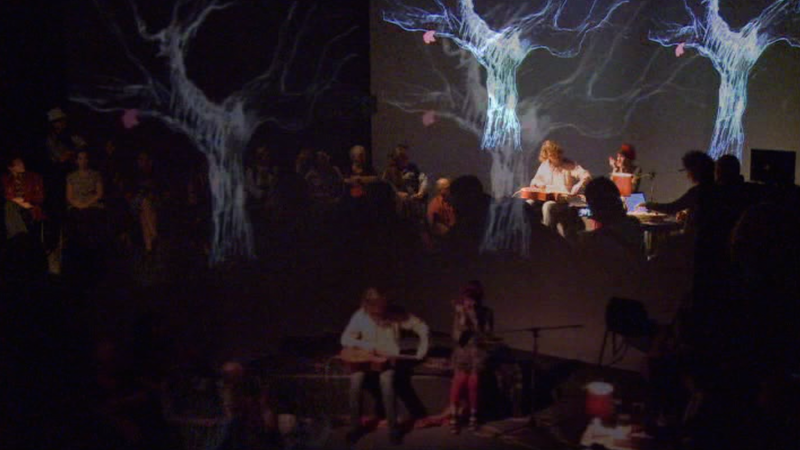 The residency and its following workshop together with art students resulted in two multimedia shows (live music, projections, dance, installation) at Culture house Scala in Nykarleby. When Inga was again invited to Nykarleby for participation in a retrospective exhibition, covering the majority of all Artists working in the town between 1996 and 2012, she was once more hired to do a workshop with students from Novia University of Applied Sciences. A total of 24 students from the BA level in Fine Arts and Music participated. The workshop took place from 25.9 to 4.10 and ended up in a multi-platformed performance by the name of ‘Ancestry.’ The workshop and resulting show consisted of live music (songs), performances, video projections and similar multimedia pieces. Feedback showed to be only positive- both from the students regarding the workshop, but also from the audience regarding the show. We, as an educating institution, can confirm that Inga’s work and outcome of it, indeed was of a convincing quality and a very welcome addition to our education.